In the first Monday qualifier of this season, I got off to a great start. I birdied the first two holes and shot a 4-under 32 on the my beginning nine holes. I was playing solid and just had to keep giving myself birdie opportunities on the next nine holes. Could I? So the pressure was on me. This is my chosen career path. It’s a hardscrabble one. My livelihood, or at least how fat my wallet is for the next week or so, is always are at risk when you live on competition. But the payoff could be realizing my PGA dreams. In 2014, there are 12 qualifying spots available for each Web.com Tour event. Those 12 spots are split into two separate sites where the low-six qualifiers get to compete in the Web.com event that week. At each site, there are a maximum of 150 players, which means a total of 300 players are attempting on day to qualify for the week’s tournament. This always is limited to the first 300 players that sign up for the event — and there is always a wait-list. Players from all over the U.S. and other countries make their way to attempt a Monday qualifier with slim odds of getting one of the dozen spots available. It is a shootout. The event is only 18 holes, and typically it will take a round of 6- or 7-under to advance. The players who compete comprise of those with limited status on the PGA Tour, players with conditional status on the Web.com Tour, PGA Tour Canada and PGA Latin America tour members and then the top players competing in other developmental/mini-tours. The cost is not cheap, players that have conditional status on the PGA Tour or Web.com Tour pay $100, while all other professionals pay $450. It’s a pretty expensive round of golf for the majority of the players that don’t qualify. However, for the players that do qualify, it is rewarding. And don’t forget about all of the other expenses associating with getting to the Monday qualifier which include: flights, rental cars, hotels, gas, practice rounds, caddies and food. I managed to keep my budget for this first event just under $1,000, but that was because I was able to find good rates on my flight and car rental — and I never stay in a hotel better than a 2-star, except when it’s split with another player. And if you don’t qualify, you have to find your way to a mini-tour event to play in to keep your game sharp. As I write this blog, I am flying from Louisiana to Florida to play in a NGA (National Golf Association and formerly the Hooters Tour) event, which was my mini-tour backup event for the week. After completion of my mini-tour event — if there is another Web.com Tour event the following week — I make travel plans to make my way to the next Web.com Monday after completion of the mini-tour event in which I’m playing. Sometimes the mini-tour event is relatively close to the next Web.com Tour event where you can drive, but usually it is a tough process to get to the next Monday qualifier. Currently, there is no mini-tour that follows the Web.com Tour around because it covers so much distance all over the country. The reason players attempt to Monday qualify for Web.com Tour events is to gain status on the Web.com Tour, and once they have status, they work their way up to the next tier: The PGA Tour. The other way to gain status for The Web.com Tour is through the Q-School process (which I will discuss in a later blog). If a player Monday qualifies for a Web.com Tour event, and they finish in the top-25 that week they will retain their playing privileges for the following week without needing to Monday qualify. Of course, if they manage to win, they will automatically gain their Web.com Tour card for two years and will be in a great position to obtain their PGA Tour card with a few other strong showings during the season. Regardless of your finish, your earnings that week will go towards the money-list ranking. A player needs to finish in the top 75 during the season to obtain full status for the following year. Players in the top 25 during the season will gain status on the PGA Tour for the following season. All players in the top 75 on the Web.com Tour money list will play against the PGA Tour players ranked 126 to 200 in a playoff series. In the playoff series, all 150 players start from scratch, and 50 PGA Tour cards will be awarded based on their earnings in the four events. As you can see, Monday qualifying for a Web.com Tour event, doing well that week and, finally, rolling with the momentum can be very rewarding. Unfortunately, in that Monday qualifier I was talking about earlier, I didn’t make a single putt on the second nine. I had 18 putts — all two-putts — they were all great putts, but just didn’t drop for me when I needed them the most. I ended up shooting a 2-under 70, four shots from the number needed to Monday qualify. It’s frustrating that I had done all the hard work to put myself in a great position. But I know I need to just stay patient as it is early in the season and trust that if I keep working hard my time will come. 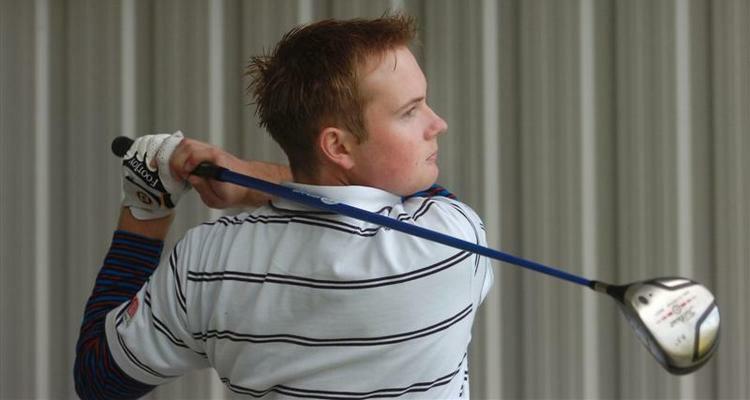 Thomas Campbell is a professional golfer originally from New Zealand and now based in Minneapolis. He came to America to pursue his dream of a professional golf career on the PGA Tour. From 2006 to 2010, he played at the University of Minnesota-Twin Cities. Now 28, he competes on various mini-tours across the country. During the summer months, he mostly appears on the NGA Tour, formerly the Hooters Tour, and The Dakotas Tour and has fully exempt status for both tours this year.